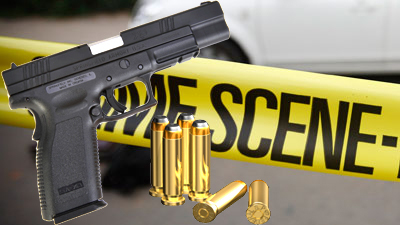 Three young people have been shot and killed execution-style in Walmer township in Port Elizabeth, Eastern Cape. Police Spokesperson Priscilla Naidu says officers were patrolling the area when they saw four people lying in an open field. As they approached, they found all four of them with gunshots to the head. Two women and a man were declared dead on the scene. Naidu says the fourth female is fighting for her life in hospital. A 72-hour Activation Plan has been mobilised to hunt down their killers. The identity of the deceased women is still unknown while the man has been identified as allegedly 23-year-old Sinethemba Dumezweni. Police are appealing to the community for help in identifying the victims. The motive for the killings is still unknown, but police have ruled out robbery as all victims’ cellphones were found at the scene. Provincial Commissioner Lt Gen Liziwe Ntshinga said in a statement that he is appalled by the killings. He has also instructed for the mobilisation of the 72-hour Activation Plan and says that communities must not tolerate such acts of violence. The post Three killed, one injured in Walmer shooting appeared first on SABC News – Breaking news, special reports, world, business, sport coverage of all South African current events. Africa's news leader..